Product Description- Give your eyes added drama and a more attractive look with Lakme Kajal. This kajal pencil allows you to get thin eye lining or thick eye lining as per your choice and the kind of look you are going for. Brighten up your entire face with bright and distinctive eyes. The smooth finish of Lakme kajal makes your eyes even more beautiful. Lakme kajal has camphor and castor oil which cools and soothes the eyes while helping the lashes to grow longer. Packaging- It comes in a normal stick with golden colored letters printed on it. The pencil can be has to be sharpened. It has a sturdy transparent cap on it and at this price the packaging is good. Shade and Texture: The Lakme Kajal is normal black in color and looks beautiful on the eyes. It is soft in texture and can be applied very easily onto the eyes. 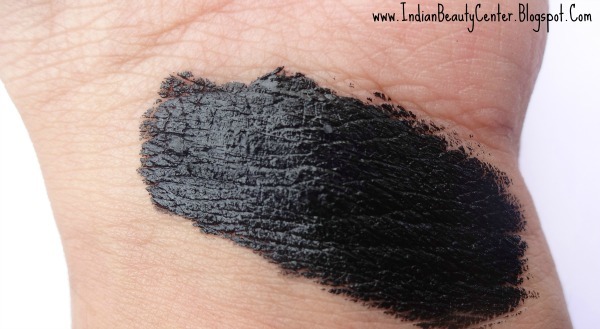 But for the price its a nice kajal, and for those who dont have very watery waterline its a true jet black kajal. I use to use this when I was doing my college, but it smudges very easily. I use this for a long span. My mom really love this! Nice reviews Arpita.. Girls look so different when applied kajal on their eyes.